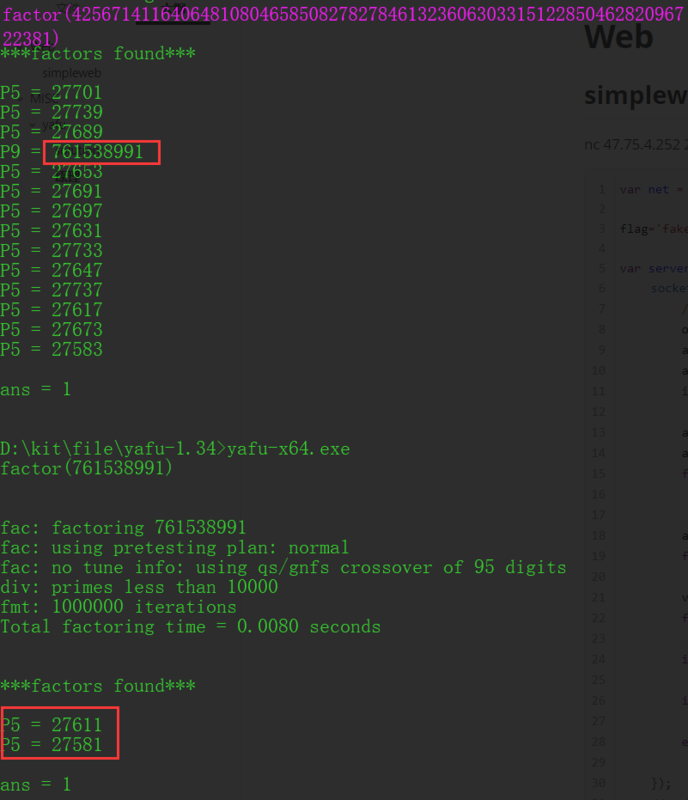 print "wait for a while here..........."
When yafu delete factors, it fails to update the factor type correctly. So it’s possible to fool yafu if you use a smooth number which consists of many small primes. Follow the link in solve.py for more details. I expect someone would find it when feeding some special cases (like the smooth number as mentioned above) towards yafu. But maybe most players instead focused on the prime test. I released a hint (yafu can be wrong) but seems (as xdd suggested) they just turned to prime test inside yafu lol.